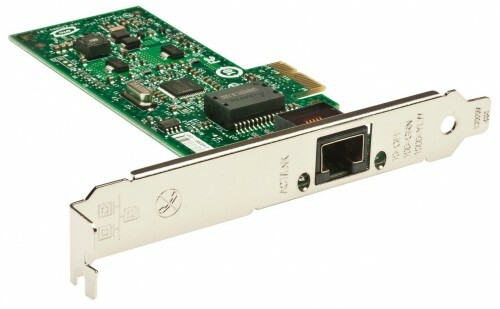 The Intel Gigabit CT Desktop ethernet PCI adapter is still one of the fastest and most robust NICs for the Hackintosh. This did not change with macOS Sierra 10.12. I’m still using the IONetworkingFamilyInjector.kext in Clover’s kext folder to override the compatibility list in Apple’s own Intel82574L.kext. However, while the installation of macOS Sierra went smoothly, I lost all network connectivity after installing Sierra. A quick look at the network kernel extensions revealed that Apple changed the driver identifier of the Intel82574L.kext, rendering the injector useless. After changing the identifier in the injector and a reboot, network connectivity was back again. The patched injector kext is available for download here: IONetworkingFamilyInjector.kext_.macos-sierra.zip. The kext injector has to be placed into the EFI/CLOVER/kexts/10.12 folder. While writing this post, I stumbled upon an alternative solution, which seems to be permanent. However, it requires flashing the Intel NIC and changing it’s device ID property. Check out this post on InsanelyMac. I’m going to try this approach in the near future since it would reduce the number of kexts in my Hackintosh rig to just one (only FakeSMC).